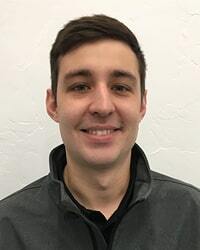 Bryan has been lucky enough to call Fort Collins, Colorado his home since the fifth grade when his family relocated here from Wisconsin. Faith, family and racing pretty much sums up Bryan's life. He credits his strong faith as the reason that he is a devoted husband to his lovely wife of 15 years and father to two beautiful children. And even as a kid Bryan always knew that he wanted to be involved with cars, race cars, and more specifically, sprint race cars. 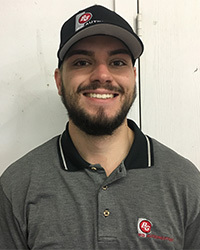 When he isn't working at the shop or racing sprint cars he enjoys working out, watching movies and hanging out with his friends and family. 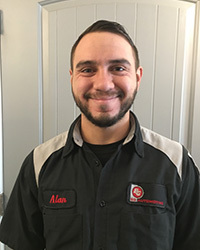 Bryan also believes that he can never stop improving himself and his business so he is a leader with the ATI (Automotive Training Group) which keeps him at the top of his game when it comes to running a successful business for not only himself but the people that he employs and his valued customers. 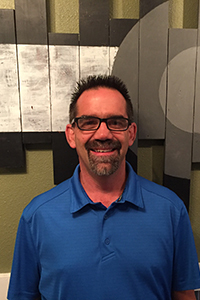 He also believes that his faith has a tremendous amount to do with his business success, so he actively participates in the Fort Collins CBMC (Connecting Business Men to Christ). Philosophy on Life: "Heck ya!" If you are around Bryan, or the shop, enough you will hear that phrase again and again and you quickly learn that he believes that any obstacle can be overcome with enough dedication, hard work, faith and a "Heck ya!" attitude. 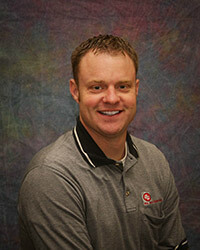 My name is Cendi and I've been with BG Automotive since inception. I was born and raised in northern Colorado and have bounced around Loveland, Fort Collins and Windsor. I never really thought about automotive and so I guess it chose me. Bryan and I have been married for 18 years and I have been by his side helping and learning wherever I can. I went to cosmetology school and I try to pass on a little beauty trick here and there to our guys. Outside of BG Automotive, I enjoy racing with Bryan and heading to the lake with our children and friends. The best thing about BG Automotive is truly the family-oriented feel. Bryan and Phil have been so blessed to have such a great group of people come work with the team. 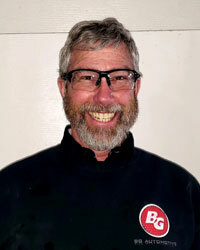 My name is Phil and I started with BG Automotive in 2012. I was born and raised right here in Fort Collins. I am a PVH baby. As a young kid, all I wanted to do is drive. My father would take me hunting and I think the only reason at the time was for the love of driving the back country roads-- more than for the hunt. As I got closer to the age of sixteen, I fell in love with Jeeps. I purchased a 1974 Jeep and learned fast that I had to work on it more than drive it. But with that I knew automotive is where I wanted to be. During high school I picked up some automotive classes at Front Range Community College and continued to grow my knowledge. While learning more about vehicles, I found that the real reason I enjoyed the field so much was that I was making new friends and was able to interact with so many people. That became a helpful piece of knowledge and I shifted gears. Instead of continuing the path of working on vehicles as a profession, I still get to do it every once in a while. Outside of BG Automotive, I enjoy working with my hands at home, building and working on rockcrawlers, metal fabrication, mowing the yard, and gardening. I get to spend time at home with my loving wife, Stefany and our little girl Rebecca, who both also enjoy the outdoors and share my love of Jeeping. 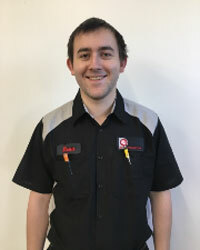 The thing I love most about BG Automotive is the family feel and how well our team works together to make sure each vehicle leaves here serviced to the best of our ability. Stefany and l are so glad we found the right place here in Fort Collins. My name is Mike. I’ve been with BG Automotive for a little over a year but have known the team as friends for about 15 years. I was raised around Wellington as a kid and been around Fort Collins the rest of my life. As far as automotive as a profession, I never thought I would be in it. I have always been interested in building and working with my hands in construction. After years of helping everyone at BG with their own projects in the shop and at home, they asked me if this would be something I would want to do. I am so glad to be able to work with a great team like this. After high school I went into fire science and became a first responder wildland firefighter. With that, I was able to get my EMT 2 certifications. Outside of work, I enjoy wood working, camping, four wheeling, and spending time with my friends and family. The thing I love the most about BG Automotive is how hard everyone works. No one wants to let anyone down-- from our customers to the other technicians. Everyone just helps everyone. My name is Jorge. I was born and raised in northern Colorado. My home town is Ault. My girlfriend and I now live in Fort Collins. The reason I chose automotive was because I wanted to know how vehicles functioned. Growing up on the family farm, I helped my family do some repairs, but I wanted more. I now love seeing how I can help someone get their vehicle back on the road and how much my work impacts them on a positive level. After high school, I enrolled in school at WYO Tech. After WYO Tech, I jumped into the work force and tested for all my ASE certifications. I am a Master Technician, and with the help of my BG Automotive family, I have received additional training in Ford Diesel, BMW, and GM. Outside of work, I love to stay healthy. Hitting the gym every morning before work helps me stay fit to stay focused all day long. I also enjoy spending time with my family and our old English sheep dog Francine. The thing I love most about BG Automotive is that everyone has the same team attitude; everyone is here to help our team and your family team. My name is Jarrod. I have been with BG Automotive since 2015. I am from Flagstaff, a similar town to Fort Collins in Arizona. 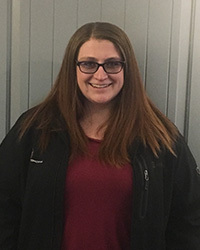 I chose the automotive field because I love to be challenged mentally and physically. When I was younger I loved to figure out how things went together-- from a simple puzzle to a washing machine-- I was all about it. After High school I attended Universal Technical Institute. After graduating I continued on to receive my ASE master L1, Ford, and GM Certifications. The great part about being on the BG Automotive team is that they continue to send me to different classes to provide training in our ever-changing field. Outside of work, I continue the automotive theme. I'm restoring a 1967 Barracuda. When I’m not thinking with my automotive brain, it’s all about the family. My wife and two girls love hiking, and I just started to teach my girls about bass fishing. That has been a blast seeing the smile it brings them. What I love about BG Automotive the most is the way everyone cares about everyone. When we need a simple push of a vehicle into the shop, the entire team comes running to help. IT’S GREAT!!!! My name is Mike. I was born in California and moved to Fort Collins in high school. Getting into the automotive field was easy: my father was always into restoring and working on classic cars. Before I turned 16, he made me purchase an older vehicle which I had to learn how to repair, because we all know that most 15 year olds don‘t have a large budget. After that car, I knew this is what I wanted to do for a profession. 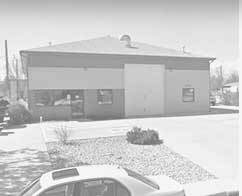 After high school, I continued at Front Range Community College in their automotive program. 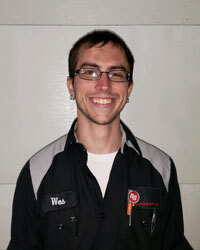 I hold a master ASE Technician certification and have done further training with diesel and European vehicles. Outside of my BG Automotive family, I enjoy camping, home projects, and getting out with my wife and our little girl, Blake. What I love most about BG Automotive is the family atmosphere and the way our team puts the customer first, as they are part of our family, too. 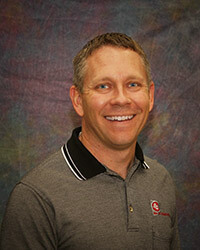 My name is Mike and I've been in the Fort Collins area all my life. I was born in Boulder and grew up in Windsor. My passion for repair work started when I was very young. I would take apart my toys just to see what made them tick. I started learning how to work on cars by helping my dad with maintaining his fleet vehicles at the age of 10, and rebuilt the engine in my first truck at the age of 16. I made the decision to make a living out of fixing vehicles after graduating high school. I attended Aims and after completing their automotive repair classes decided to get to work fixing cars. After I got some professional experience under my belt I took the ASE tests and became a master tech. I really enjoy the challenge of figuring out what's wrong with cars and getting them back on the road. My favorite place to be is on the water, jet skiing, tubing, skiing, etc. I also love camping and four wheeling and being outdoors. I really enjoy the friendly family atmosphere here at BG. It feels great working with a crew that is so upbeat and driven to do good work while also having a good time. My name is Jay Volesky. Born and raised in Colorado. I Graduated Poudre High School in 1988. Obtained my Aircraft and Power Plant certificates from Spartan School of Aeronautics. Built large aircraft for 10 years in North Carolina. I am Blessed to have been married to the same amazing woman, Jennifer, for 24 years.... I have the best daughters ever. Rachel and Jenna. Our granddaughter, Brielle, is now 4 1/2 years old. WOW-how did that happen ? I grew up in Wellington and Fort Collins. 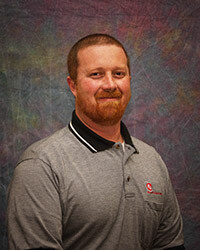 I have been servicing the automotive community for the past 20 years now. I love to help people and enjoy every day of life. My hobbies include my love of Racing, fishing, camping and being outdoors in beautiful Colorado. I spend as much time with my Family as I can. I am thankful and grateful for what every day brings to me. Come see me at BG Automotive. Our team will provide you with the greatest customer experience possible in an auto repair facility. My name is Frank, I lived in Phoenix AZ for the majority of my life but fell in love with northern Colorado when I visited. I have enjoyed calling Wellington my home from 2013 to present. I started working on cars and trucks out of high school at a quick lube and decided to go to school for it. 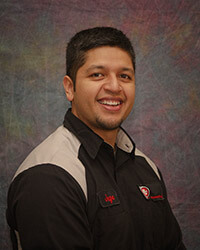 I graduated in 2005 from Universal Technical Institute in vehicle maintenance and repair. 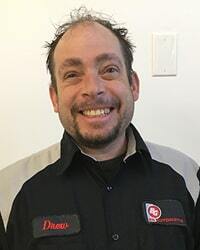 My career thus far has been primarily Audi and Volkswagen and I have been a Audi certified master technician for 13 years. I Moved to BG automotive March of 2018 and wish I would have done it sooner. I love the culture here and all the guys are awesome. My name is Alan Rivera. My wife and I are from El Paso Texas. We fell in love with northern Colorado while visiting family and knew our future would be here in Colorado. I have a genuine love for working on anything that has a motor, from heavy equipment to small engine and anything in between. When I’m not working on vehicles, I enjoy spending time with family, being out in nature, and reading a good book. What I love about BG Automotive and is what brought me here is their dedication to give the best service. They strive on helping technicians become better not only in our field but in their personal lives as well. 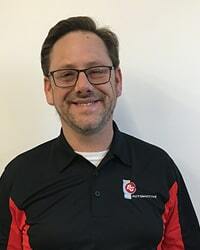 My name is Chad Cunningham, and I started at BG Automotive in November 2018. I was originally born in Traverse City, Michigan which is the cherry capital of the world. I have bounced around since then living in Georgia for 11 years, Illinois for 2 years, and I’ve been lucky to call Colorado my home since 2013. I originally started my higher education at Colorado State University studying electrical engineering and playing on the lacrosse team there. After a couple years at CSU, I realized I wanted to work with my hands and help people out, and so automotive is what I chose. I love the puzzle and challenge of figuring out what is wrong and how to fix it. I attended Front Range Community College for the Automotive Technology program they have. The more I work on cars and trucks, the more I love it. I started my career at a Ford Dealership a little under 3 years ago, and have amassed knowledge I never I would have the privilege of learning. I have worked on all makes and models for my entire career as I was a used car technician at the Ford dealerships I worked at, so no car will scare me away. I love working all makes and models. When I am not working on cars, I love to spend time with my beautiful fiancé, Sarah, my two dogs, Athena and Demeter, playing video games, fishing, or watching sports. I’ll even have up to 3 tv’s at a time playing different sports depending on what sports are on and video games running on a different tv. I played hockey, soccer, football, baseball, lacrosse, and golf growing up, so I love every sport and enjoy talking to or teaching people about them. Feel free to ask me any questions about them. 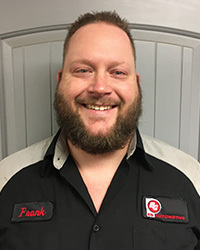 What I love most about BG Automotive is that I get the opportunity to learn and grow as a person and technician every day here at BG Automotive. 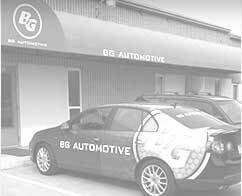 BG Automotive is a family whether you are a technician, service advisor, or customer. Welcome to the family, we love having you be a part of it! Hello! My name is Hash, short for Hashim. I’ve lived in Colorado for most of my life and wouldn’t have it any other way! After graduating from CSU in 2015, I found myself at a crossroads. Work in a lab or work with what I love, it was an easy choice. Cars have been my passion ever since. I have been with BG Automotive since 2018 and loving it! On my weekends I can be found off-roading, hiking, camping, hanging with friends/family or working on my home. I’m a pretty busy bee and find myself not wasting a minute. My name is Katie. I am a Fort Collins native, born and raised. I am very interested in the automotive industry and more importantly, in building relationships with our friends and family who are entrusting us with their vehicles. When I am not at BG Automotive, I am spending time with my beautiful daughter Lilly and my wonderful husband Mark. I enjoy the outdoors, playing video games, and spending time with family and friends. What I enjoy about BG Automotive is the family feel, and how the team is always welcoming and willing to help each other. My name is Anoushir , I was born and raised in St. Louis, Missouri. I am a new member to Fort Collins but can already feel the roots grabbing. I grew up in a family of engineers, always encouraging me to learn how things operate. As a kid, I focused on bicycles and remote-control cars. Eventually graduating from toys to machines, I’ve been building, maintaining, and repairing both Motorcycles and Cars for 15 years. I spent two years living in Chicago attending automotive trade school, which would transform me from a backyard mechanic to a proper technician. After years in the field I’ve transitioned from turning wrenches to serving people needs. You can find me behind the counter answering questions and providing knowledge as needed. My hobbies include Racing Motorcycles, building Classic Japanese motorcycles “cafe racers”, and rock climbing to stay in shape for Motorcycle season. I am very lucky to be able to spend all my spare time with my wife Katie who I have been married to for 3 years. Super excited to continue my journey and grow alongside BG Automotive! My name is Stephen, I'm a Colorado native. Recently moved to Berthoud. I spent my summers on a family cattle ranch. My father and grandfather started teaching me how to work on farm equipment, tractors and motorcycles in my early teens, cars a little later. After high school, I started as a technician apprentice at a Toyota dealer where I earned several Toyota certifications. 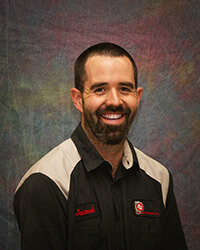 A motorcycle accident made remaining a technician difficult so I began to learn the service aspect of automotive repair. While I love working on machines, I love serving our guest even more. In my free time I like to draw, design and build electro-mechanical devices of all sorts. Most recently, research and design of a new type of energy production and production management. I also enjoy horseback riding, racing, hiking and camping in our beautiful Rocky Mountains. I'm new to Fort Collins and the BG team. I came to BG Automotive for the fantastic culture they are known for in this industry. My name is Drew. I'm from Long Island, New York. I have been with BG for about 6 months and love being part such a great team. I have been wrenching on cars for over 20 years now. I specialize in Asian vehicles and earned my ASE master at Habberstadt Nissan on Long Island. In my spare time, I love racing motocross and I am also an avid collector of exotic reptiles. The thing I love about working for BG Automotive is that everyone works together as a team, which makes any problem, big or small, easy to solve. My Name is Dan. I’m originally from Ohio and I have lived in Fort Collins since 1993. I have 30 years of automotive repair experience and Honda is my specialty. I have a wonderful wife who is a nurse for UC Health and an adult son who works in the motorcycle industry. We also have our pet family. Outside of work I enjoy motocross, watching movies, playing pool, and working on Bikes, cars, and trucks. My wife and I have been together 35+ years and we are looking forward to some new adventures with traveling and camping in our future. I’m excited for the new opportunity to care for BG clients and to have such a great support team to work with. My name is Beau. My parents moved to Fort Collins when I was two years old and I have yet to find a reason to leave. I stumbled my way into Automotive Technology & Service while still in high school. By the end of my high school career, I had found my passion fixing cars and keeping people and their vehicles safe and on the road. 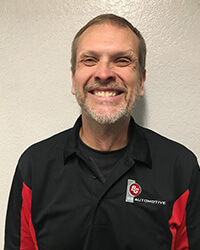 Having completed the High School Automotive Career Pathways program at Front Range Community College at the top of my class, I dedicated the following two years to completing an Associate’s Degree of Applied Sciences in Automotive Technology & Service. I am ASE certified and plan on achieving the status of Master Automotive Technician in the near future. When I'm not working on customers’ cars, you might find me tinkering with my van, long boarding around town, camping, or traveling. I make an annual trip to volunteer at the Telluride Bluegrass Festival, also, and enjoy going to as many concerts and shows as I am able. What I love most about being a part of Team BG Automotive is that we are all here to help each other, everyone lends a hand wherever they can and no one makes you feel left out. My name is Wesley. I was born in Denver and spent my early Years in Castle Rock. After graduating high school, I enlisted straight into the Marine Corps. Upon exiting the Marine Corps, I worked a couple years as a security guard in Florida but was not satisfied sitting in a guard house every day. I learned of commercial driving and enrolled in the Commercial Drive Academy in Jacksonville, Florida. Upon graduating, I drove straight out to Louisiana and got hired working out on boats and barges in the gulf for two years. I enjoyed it but wanted to pursue the automotive industry. I moved back to Colorado in 2015 and worked at a Toyota dealership. I quickly advanced and received many certifications. Almost 4 years later, I now work at BG Automotive Longmont. Outside of work I enjoy spending time with my love, Cecily, experiencing new foods, movies and any manner of thing that comes our way, as well as motorcycle rides on twisting mountain roads. The thing I love the most about BG Automotive is the team’s drive to constantly improve and provide the best possible service always. I very much look forward to being a part of this amazing company. My name is Nicholas. I was born in Fort Collins but raised all over Florida. I found my way back to beautiful Colorado in 2015 and haven’t missed the lack of seasons yet. I have been an automotive technician since I was 18. I started out with Toyota, Lexus, Scion and then branched out to work on all makes and models. I’m very passionate about working on vehicles and getting it right the first time, as efficiently as possible. The automotive career is an ever-changing world and one of the best parts is learning something new every day. I’m a huge “gamer” and spend my free time relaxing inside, unless the roads are clear and I can get out on a nice motorcycle ride. My name is Johnnie. I was born and raised in Tallahassee, Florida. I began working on cars by building a dune buggy at the age of 15 and a baja bug shortly after that. Truly the start of this career was a ride in a Meyers Manx buggy to St. George Island, riding the dunes there as a passenger. I attended the University of Florida receiving a Bachelor of Design in Architecture. I love architecture and design but working on cars fits me. I enjoy knowing that my skill set can help people keep their vehicles running. 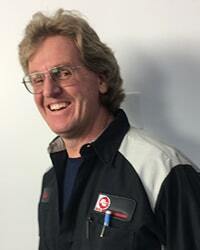 I became a Master Toyota Technician in 1992, and competed in the Toyota Master Skills Contest the first two years I was certified as a Master. I have received recognition from Toyota for submitting quality Dealer Product Reports which are submitted to engineers and assembly plants. 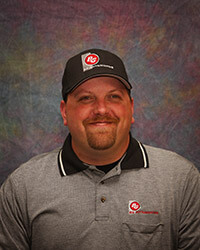 I am currently certified as an ASE Master and I also hold L1 and L3 certifications. I enjoy music, playing and singing, and also playing and singing at my church. I ride motorcycles and love to tour this beautiful state, camping along the way. I enjoy spending time with my adult children, two of which also ride motorcycles. I am new to BG Automotive and the thing I like is the working atmosphere. Everyone is “In it to Win it” for the customers and, the BG Automotive culture is about working and helping one another so we can provide exceptional service for our customers. Hi! 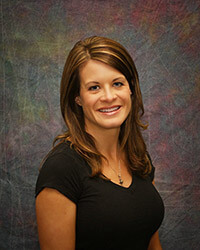 My name is Danielle and I’m originally from Seattle and moved to Johnstown, Colorado early in life. I grew up on a farm, riding motorcycles, driving anything that my parents would let me from cars and trucks to the occasional tractor. After graduation, I moved off that dirt road and hit the big city, literally. Off to Denver then to L.A.- I've worked in the music business, managed restaurants and been involved in many areas of the car industry. 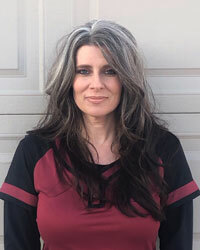 I am a Colorado State Licensed Esthetician, so yes, I am all things cosmetics, beauty and skin care. My free time is spent with my two adult children and the cutest grandbaby that I could've ever wished for. I spend time outdoors; riding motorcycles and I love to travel anywhere there's water and sand. I am also a Game of Thrones junkie and a Reiki energy healer. 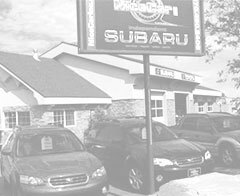 What I love most about BG Automotive: I was an outside sales gal that used to visit them. They soon became one of my favorite accounts to visit because of the warm welcome and honest conversations. It was the easiest decision in the world to become a part of this amazing family. My name is Todd. I was born in Wichita, Kansas where I received my GM Master training. After moving to Thornton, Colorado in 2000, I went to work for a GM dealership. In 2002, I had to receive some major back surgery and could not be the best technician that I once was. With so many options in the automotive industry, I wanted to still be on the front-line helping people. Now I get to help people get back on the road safely and follow through with all maintenance and repairs. I am happily married to my wife Erin, who I have two kids with, Chance & Kylie. I love to play disc golf and spend time with the family outdoors. The thing I love the most is the team atmosphere, here at BG automotive. Everyone helps each other. It’s Family here!